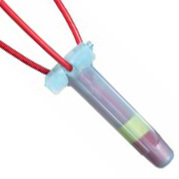 Bulk pack of 100 each gel-filled tubes and twist-on connectors. 25 Kits in a plastic bag. 2 gel-filled tubes and 2 twist-on connectors per bag.